Leeds native George Evelyn formed Nightmares On Wax in the late ‘80s in a scene teeming with hip-hop and b-boy culture. He got his start dancing before eventually beginning to DJ. Eventually, Evelyn formed a crew in the form of production specialist John Halnon and musician Kevin Harper. But after only one studio album, the others parted to develop their respective solo projects, leaving Evelyn on his own to pursue Nightmares On Wax. Following his debut on Warp Records, A Word Of Science (The 1st and Final Chapter), Evelyn unleashed seven more studio albums, a selection of mixes and countless DJ gigs across the globe. Evelyn was one of the original purveyors of the downtempo and trip-hop approach to production that took over the early 1990s. He crafted a unique sound built on a fusion of jazz, hip-hop, reggae and the early rave sounds that could be heard across England in the late ‘80s and early ‘90s. This weekend, Nightmares On Wax will headline our two-day festival in Bucharest that will launch our new Romanian edition of Telekom Electronic Beats online editorial. 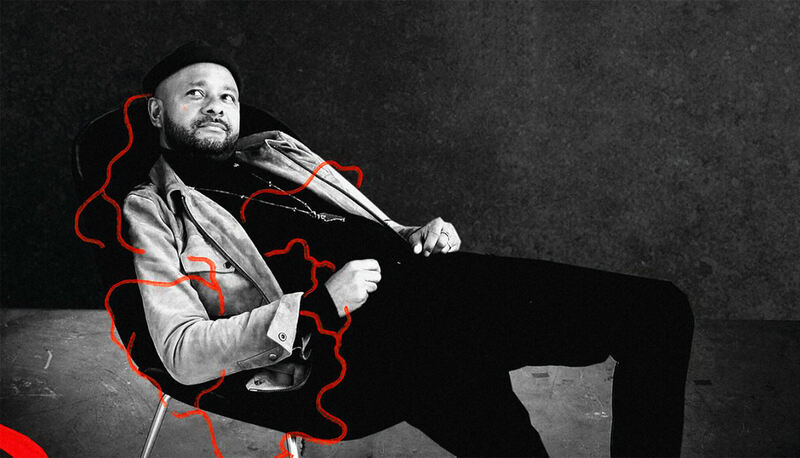 As Nightmares On Wax makes his rounds on tour for his new album, Shape The Future we helped you sort through his extensive catalogue. It’s some of the finest electronic music ever fashioned for the couch and not the club. So sit back, relax and indulge yourself with some of electronic music’s finest funk-flavored dance grooves. A Word Of Science (The 1st and Final Chapter) is arguably Nightmare On Wax’s most unique album—and it’s the only one where the entire trio was involved. John Halnon and Kevin Harper, while not present for the production and touring of this debut album, exerted a significant influence on its composition prior to its release on Warp in 1991. The album comprises a mixture of funk-laden, downtempo house on tracks like “Nights Interlude” and “Biofeedback”. It also navigates a space of constant change in both style and tempo. The Nightmares On Wax Boiler Room London mix from 2013 has amassed over six million views on YouTube. It’s a master-class of fun, easy-going house music. Perfect for those sunny-day-hangs, it’s a nostalgic look back at Boiler Room before it was dominated by exclusively funny moments or pure mayhem. Featuring classic cuts like Diana Ross’s “It’s My House” and Kaytranada’s remix of Janet Jackson’s “If”, it’s a bona fide groove session. It helps that it could be used as a vinyl DJing tutorial, too. With Carboot Soul, Nightmares On Wax opens up with one of his most recognizable productions, “Les Nuits”. Sometimes accused of not peppering his albums with more musically avant-garde flamboyance, here, Evelyn sprinkles his track with jazzier keys. At the time of its creation, it was recorded with the most live instrumentation of any Nightmares On Wax album. Most notable, perhaps, is the work of keyboard played Robin Taylor-Firth. Almost two decades later, it remains one of the most important works in the funk music canon for its deeply meditative quality. Soft pads drift in and out of the album, with vocals just recognizable enough to hold your attention before they drift away again. Nightmares On Wax allegedly got the idea to make this album after listening to The KLF while tripping on acid. Widely regarded as his Magnum Opus, Smokers Delight has almost transcended its creator all together. Instead, it’s considered to be among the most notable downtempo albums ever released. Gracefully navigating hip-hop, house, dub and a mesmerizing array of samples, it’s a history lesson in 1995 chill-out music. By this point in his career, Nightmares On Wax had already begun DJing, had produced a variety of tracks, played live and taken time away from composing. For his second LP on Warp and his first back in the production game, he dropped one of electronic music’s most memorable albums. By 2006, Evelyn had already helped to create the trip-hop and chill-out movement. A decade and a half after the release of his debut album, he had developed a characteristic style, and In A Space Outta Sound proved that one of the few producers left in the genre was content in continuing to craft it. Tracks like “Passion” and “The Sweetest” succeed in conveying his message from the onset. It’s one he’s been delivering for over 25 years. Similar to DJs like Mark Farina, Nightmare On Wax’s hip-hop inspiration here is plainly evident. He takes it to the next level with this DJ Kicks mix. Released on the iconic !K7 label in 2000, it’s an ode to slow-chugging hip-hop instrumentals and great horn sections (think A Tribe Called Quest meets Kenny Dope). It’s also a sign of departure from the great examples of recorded turntablism. Shortly afterwards, pioneering technology like Final Scratch and Traktor would shift the method—and sound—of DJ mixes forever. While for some it’s still a novelty to craft a home-listening mix, Nightmares On Wax proves that he’s experienced enough to take it wherever he wants. Coming three years after his DJ Kicks effort, this mix starts off decidedly jazzy. Its slow and brooding vibes are now something of a Nightmares On Wax trademark, only with an eventual reggae breakdown. Dub-tinged jazz seemed like the only real direction to head after the so-called demise of trip-hop at the turn of the century. In the eighth installment of the series, Evelyn helps assert that the DJ mix is not dead. Taking note of his wildly different style on the DJ Kicks effort, his LNT contribution simmers and patiently builds a collection of tasteful, humid and hot takes. It’s framed with classics like Dusty Springfield’s Spooky, and it’s fitting for any sticky summer evening. Nightmares On Wax has been producing in prolific fashion since he released his first 12-inch, Dextrous, in the late ‘80s. But between 1999 and 2006, he was particularly energetic. Mind Elevation follows two mixes and an album. Evelyn dropped this collection of patient, meandering melodies in 2002. Low-slung, imperfect drum patterns on tracks like “Mind Eye” mingle with hip-hop-inspired vocals and an almost 4/4 tempo. But don’t forget about those signature soul-soothing pads. Other tracks like “Thoughts” end things with more natural, jazzed-up flair. Tracks like “Da Feelin” and “195lbs” don’t signal a departure from the mood of In a Space Outta Sound, but they don’t stick with it either. Many of the songs on Thought So chug along, building groove-oriented dub. But it’s mesmerizing funk cuts like “Pretty Dark” and “Moretime” that prove the album’s long-term worth. Nightmare On Wax’s most recent effort, Shape The Future, puts clean drum patterns at center stage. Evelyn also relies on a steady vocal presence throughout, and especially on the title track. Others, like “Back To Nature,” focus on slow, roots-forged dub music and gospel-style singing. Thematically, it proves a more reflective LP than its predecessors, and its featured collaborations with artists like Canadian rapper Allan Kingdom and long-time London-based singer Mozez brings this album right up to speed in 2018.